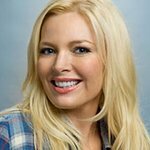 The Unusual Suspects Theatre Company (US), an award-winning non-profit that provides transformational theatre-arts programs and mentorship to underserved Los Angeles County youth and families, has announced that Melissa Peterman (ABC’s “Baby Daddy”) is hosting its 6th Annual Gala, “Change. Together.” on May 29th, 2014 at the historic Cicada Restaurant in Downtown Los Angeles. This year’s honorees include Senator Holly J. Mitchell (D-Los Angeles, 26th District), and Bradford Bancroft and the Bancroft Family. 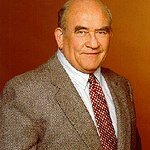 2014 Host Committee Members include: Ed Asner, Austin and Virginia Beutner, Viola Davis and Julius Tennon, Hector Elizondo, Bruce Greenwood and Susan Devlin, Mariska Hargitay, David Henry Hwang and Kathryn Layng Hwang, Annie Lukowski, Melissa Peterman and John Brady, Karine Rosenthal and Bob Fisher. The evening will feature presentations by youth participants, cocktails, silent and live auctions, dinner, and an awards ceremony. All proceeds benefit the ongoing efforts of The Unusual Suspects Theatre Company’s internationally-recognized, model mentoring program that uses theatre arts to reach underserved youth in the juvenile justice system, foster care, gangs, treatment centers, and violence‐plagued neighborhoods. Each year, US impacts the lives of more than 5,000 local residents with the power of the performing arts.